Every Sunday night, for as long as John Danaher can remember, his aunts, uncles and cousins would come to his Levittown home. The evening would start with an episode of Lassie, and The Ed Sullivan Show, and then the family, all Mummers, would move into the living room and play late into the night. 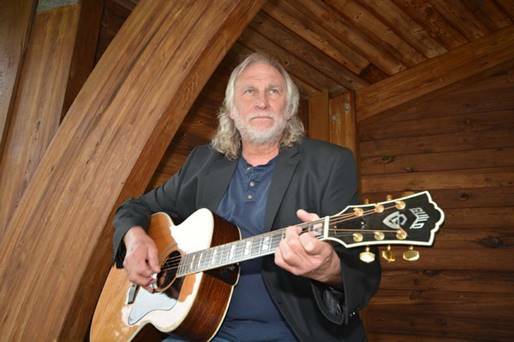 A longtime singer-songwriter and producer, Danaher will bring some of his expertise to the Lambertville-New Hope WinterFestival, slated for January I19-27, 2019 held throughout both towns. The festival’s benefit concert and VIP reception, now at the New Hope Winery, will feature Peter Asher, of the 60s pop duo Peter & Gordon, and Jeremy Clyde of English duo Chad & Jeremy. “It promises to be a really good show,” Danaher said. Danaher’s musical influences started early. His mother was the choir director for Immaculate Conception Church in Levittown and produced shows for the neighborhood kids. His father was an engineer and president of the Catholic Youth Organization. Danaher started singing in the choir when he was seven years old. “I couldn’t get away from anything,” he joked. In addition to the church, he was deeply influenced by his grandfather who played with Fred Waring & The Pennsylvanians, of big-band era fame. His grandfather was also the house piano player at The Buck Hotel in the 20s and 30s. The Doobie Brothers and Jefferson Airplane, tuning guitars. In the mid-90s, he traveled to Europe with his own band, “The Quietmen,” the name influenced by the 1952 John Wayne movie, “The Quiet Man.” He later played guitar with The Toni Brown Band. Brown lived in New Hope and published Relix Magazine. Over the years, he has share the stage with Arlo Guthrie, Bela Fleck, Derek Trucks and Jimmy Webb. He later went on a world tour with legendary sax player Grover Washington Jr. “I wear that very proudly. He was one of my best friends,” he said. made us write a paper where we were going to be in 40 years. Despite being around musicians his whole life and having passion for his work, Danaher said his path has been rather serendipitous. “I never put any energy into making it happen. I didn’t have vision. This is my career. It’s just something I did. I couldn’t have planned it out. Every tour was by a hair, by talking to someone at the right time and the right place. You have to be good at what you do. But the opportunity has to be there so you can apply yourself. The WinterFestival is now in its 22nd year. Danaher remembers being “hijacked,” by a board member when planning for the festival first started and there were some problems with contracts and artists. In 2018, the concert moved from the auditorium of C.B. East, which was under construction, to a new venue, the New Hope Winery. While losing 250 seats, the change in venue saved more than $6,000 in production costs, Danaher said. “Every penny goes back into WinterFestival,” he said. nutrition and life skills, among other organizations. Some mornings, Danaher wakes up at 4 a.m. to play guitar. His historic house sits on six acres near Pineville outside of New Hope. His three-room carriage house is littered with antiques, instruments and equipment. He’s up to 20 guitars and never stops looking for more. “Some people buy wine. I buy guitars,” he said. Danaher, who has also served president of the New Hope Chamber of Commerce and has been active in many civic organizations, is working on a new album, planning for a release and European tour in 20I9. While still trying to figure out the landscape of how to sell music, the composition is the easy part. “I’ve always got something arranging in my head. I write everything in my head first. There’s one delivery,” he said. the community and the history of the area keep him here. Laura Hoover is a freelance writer who lives in Doylestown. She and her husband are parents to three boys, a very patient dog and many plants. Even though he has travelled half way around the world to play for appreciative audiences, John Danaher’s music keeps bringing him back home. And why not? Danaher’s musical roots are deep in Bucks County. His grandfather played piano with the Fred Warring Band and was the house piano player at the Buck Hotel in the 1930s and 40s. His mother was a choir director and played both the piano and organ. Even some of his mother’s family members were mummers! While it’s unlikely that you’ll see John marching up Broad Street any time soon, this New Hope resident continues to follow in his family’s musical footsteps. John says that his grandfather and mother recognized his musical talent early on and encouraged him to study piano and voice. He stayed at Bucks where he was hired as production assistant and technical director. All these experiences influenced, Danaher, who realized that he could combine his musical, theatrical and production talents to a broader scale. While John is certainly a first-rate musician, I have always been fascinated and in awe of John Danaher’s work in the community. In my opinion, John is a behind-the-scenes wiz – and someone who doesn’t really get the credit for everything he does in New Hope and beyond. He not only works as an artist, production stage manager and festival promoter, but he also sits on the board for the Earth Center for the Arts of Newtown, works with New Hope Arts, the WinterFestival, and he produces the music for the New Hope Lambertville Fireworks . John is always there to help out and give above and beyond. He is a real community player! John will tell you, however, that his great love is and always will be music. “I play from the heart,” John says, which I think accounts for his tremendous success. John started his band in 1977 and gave his first show at John and Peter’s that same year. He moved to Ithaca, NY, however, to take a job at Cornell University. There, however, he met Eric Aceto, Master Luthier & Violin/Guitar player and Doug Robinson Bass/Vocals, two musicians who would be a part of his band to this day! That band has toured to the end of the world and back! He has worked in Japan, Finland (actually a good deal of Europe), Brazil and throughout the United States. He has worked with Grover Washington Jr., The Talking Heads, Jefferson Airplane, The B-52's, The Grateful Dead, Arlo Guthrie, BB King, Santana, Hewey Lewis, Bon Jovi, Livingston Taylor, Graham Parker, and Richie Havens to name a few. He is currently putting together his next tour – a summer swing through Finland, Norway and Sweden.